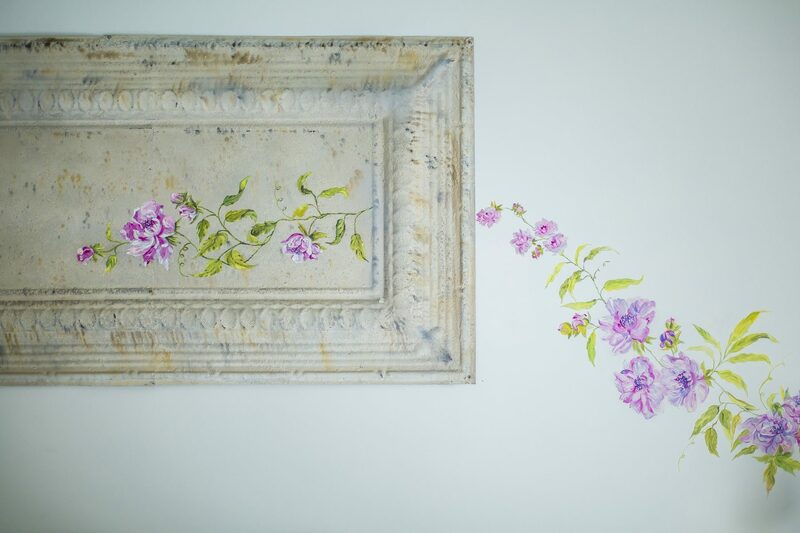 The Bellflower, The Ivy and The Peony cover a surface of 17 m2 and include a comfy double bed, a big wardrobe, a desk and a private bathroom with shower, hairdryer and vanity set. 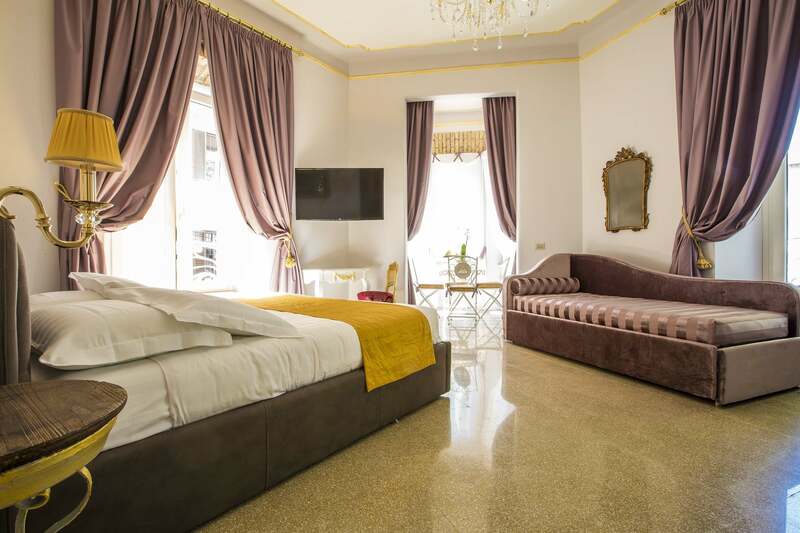 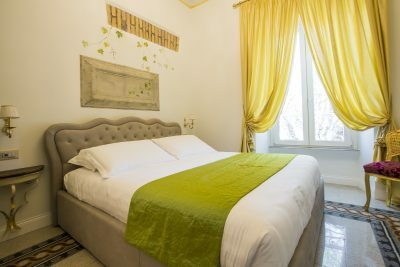 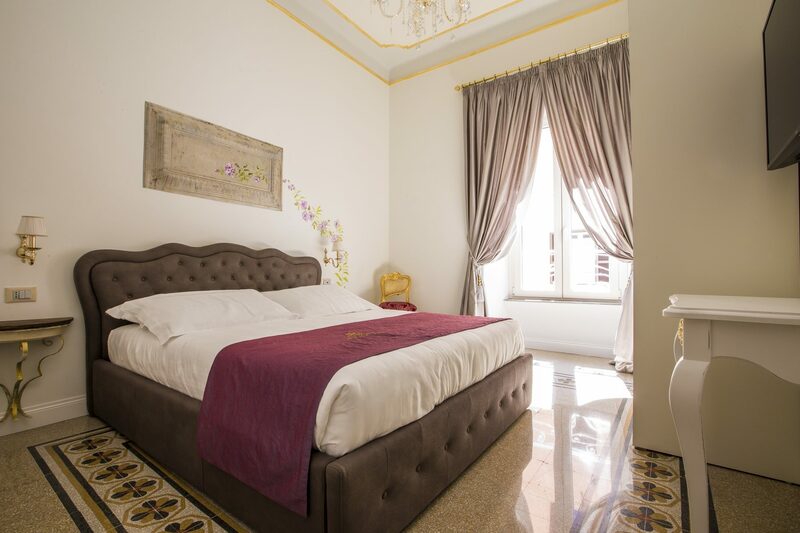 The panoramic view on Viale Trastevere and the fine interior design complete the decor, giving the room a touch of class. 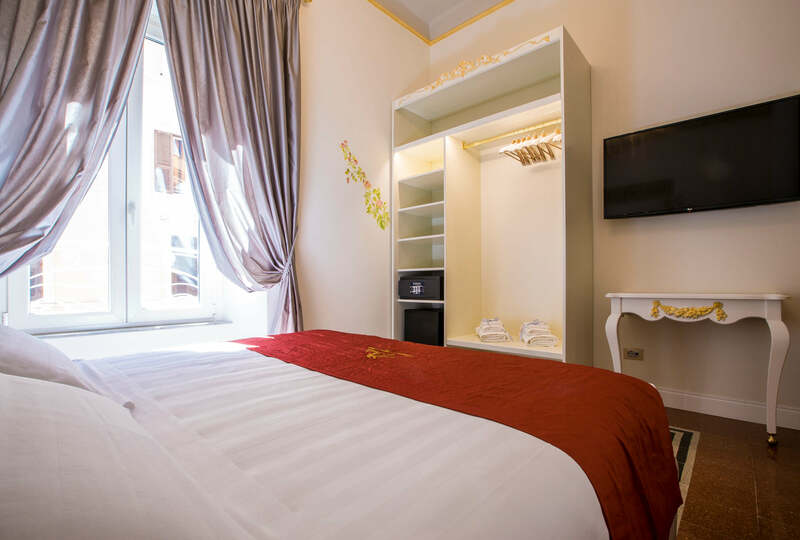 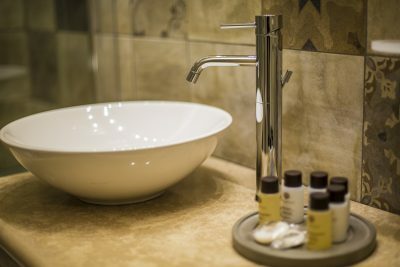 All our rooms are equipped with heating, air-conditioning, LCD TV, safe, free Internet Wi-Fi connection and chromotherapy shower.